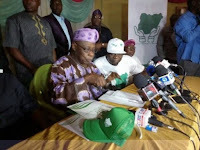 Nigeria former President Olusegun Obasanjo has insisted that the formation of Coalition for Nigeria Movement, CNM, is not a third force saying it is a movement for all Nigerians to bring about ”unity, cooperation, development, rule of law, employment, law and order, employment integration, peace and security’. The former leader, who did not rule out the Movement becoming a political party that may sponsor candidates for future elections, said he would quit the Movement once it assumes partisan toga. He made the remarks in his statement after registering as a member of the Movement at NUJ Press Centre, Oke Ilewo, Abeokuta, the Ogun State capital. Obasanjo who lamented on the state of things in Nigeria since independence said there was need to change our approach to governance. Obasanjo, flanked by former Osun State Governor, Olagunsoye Oyinlola, and his former Cross River State counterpart, Donald Duke, further stated that the present administration has not done enough in many critical areas of our national life hence the need for a Movement that will be free for all Nigerians to join especially the youth and women whom he described as not getting adequate attention. “The spate of violence, criminality, organised crime, insurgency, and terrorism have not received sufficient proactive ameliorative responses through transformational leadership. He said the Movement must be both within and outside the country saying it should not be about personality or personalities but for Nigerians. ”This Movement is not about personality or personalities but about platform and system. When the platform is formed and and the new system is put in place, the Movement may decide to sponsor or support Candidates or transform into a political machine for that purpose. If the Movement decides to transform itself and go into partisan politics, I will cease to be a member. And as a member for now, I accept, all the conditins attached to the membership of the Coalition. It is necessary to make it clear that this Movement does not regard itself as a third force. It only sees itself as a popular Movement that can accommodate all Nigerians irrespective of their political interest or affiliations. 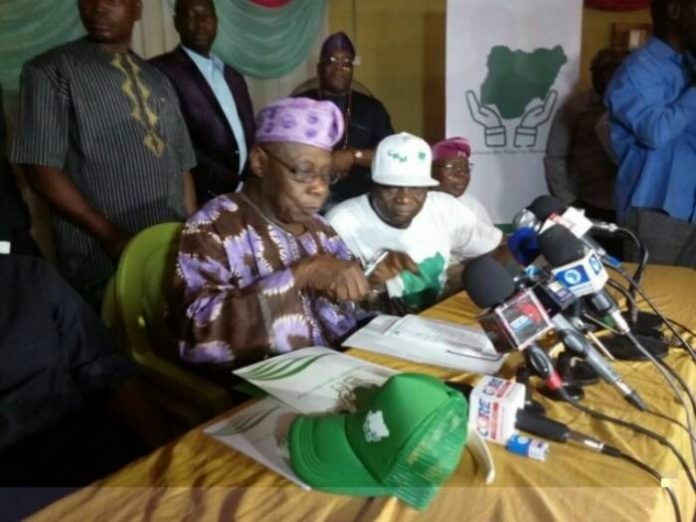 Obasanjo had last week written a critical letter to President Muhammadu Buhari in which he accused the president of many ills including economic mismanagement, inability to arrest the spate of violence in parts of the country by Fulani herdsmen and nepotism. In the letter,he also dismissed the two big political parties in the country – The All Progressives Congress, APC, and the People Democratic Party, PDP, as lacking what it takes to rescue Nigeria suggesting in their place a Coalition.